In the run-up to this weekend’s Super Bowl, media outlets scramble to churn out related stories in a desperate attempt to catch the attention of the 100 million–plus viewers who will be tuning in to watch. Many of these articles—stories behind the big story, too slight to make the first string—are about people’s reactions to the $400 million worth of ads bought for the spectacle. Perhaps you’ve already watched Kim Kardashian batting her eyes and profiling her curves as she talks about unclaimed data storage in the simpering tones usually reserved for Humane Society ads, or the bitchier, more controversial ad about the sweet golden lab puppy who tumbles off a truck and makes the long journey home, only to be sold off on an e-commerce website. Meanwhile, business-minded journalists generate graphs telling us which industries spend the most on ads (in descending order, according to the Wall Street Journal: beverage, automotive, and food), and write about chicken-wing prices going through the roof. But one of the most tangled stories behind the big story concerns the guacamole you may find yourself eating on Sunday. Super Bowl Sunday marks peak avocado consumption in the US, mostly in the form of guacamole. (It’s safe to assume that Canadians will also consume a fair bit during the game: a January 26 market update targeting Ontario grocers advises, “promote, promote, promote!”) About 120 million pounds of the fruit will be consumed during the game and its aftermath, some 1,400 percent more than in 2000, according to the Hass Avocado Board. And near the end of the first quarter, the Texas-based marketing association Avocados from Mexico will roll out a thirty-second spot: a first for avocados—or any other produce. Like many Super Bowl ads, though, it won’t run in Canada. The fact that Avocados from Mexico would even contemplate buying a Super Bowl ad tells you how lucrative the crops are. Nicknamed oro verde (green gold), they outearned Mexico’s marijuana industry between 2012 and 2013. The avocado gold rush is a relatively new phenomenon. Between 1914 and 1997, Mexican avocados were stopped at the US border, for fear of bringing in pests that could imperil California’s crop. When the ban was finally lifted, sales—and profits—increased steadily. Americans now eat four times as many avocados as they did in 2000: some 4.25 billion fruit, or 1.9 billion pounds. Here in Canada, the fruit’s value nearly doubled between 2006 and 2010, according to Statistics Canada. But this is hardly a good-news-at-the-farm story. As avocados and limes became more profitable, they attracted the attention of drug cartels in Michoacán state, the site of violent struggle for several years now. In 2010, the original La Familia cartel that controlled both meth and agriculture production in Michoacán splintered. Its Caballeros Templarios (Knights Templar) faction prevailed. In keeping tabs on avocado farm production (via information supplied by the state’s “vegetable health committee”), it has extorted farmers accordingly. When Mexican president Peña Nieto finally promised to address the terrible poverty, corruption, and violence in the region, he installed his confidante, Alfredo Castillo Castellanos, as federal commissioner of security and development for Michoacán—“virtually displacing the state’s ailing, ineffective governor, whose son has a shady reputation,” reported the Philadelphia-based Foreign Policy Research Institute. But Castillo soon earned the nickname Vice-Roy among locals—recalling the Spanish monarchy’s representatives in colonial Mexico. Fed up with the lack of government action, locals began organizing themselves into autodefensas (volunteer militia) in February 2013, according to Vice News. Soon they were fighting each other, and the commissioner promised to set up a fuerza rural—a local, government-supported police force—to keep the peace. Former vigilantes are fighting with government forces and each other. All sides are accused of being infiltrated by drug traffickers trying to take over from the Knights Templar which controlled commerce, politics and daily life in much of the state until self-defence groups rose up in February 2013. Landing an ad at the Super Bowl sounded like a great leap forward for the food industry and food culture: fruits and vegetables, until recently, have been the wallflowers of the grocery store, most of them sold loose with little more than a PLU number and price point to convince you to take them home. Produce mostly relies on food literacy and common sense for sales: if your mother told you it was good for you, you probably buy it for your children. Not much of a strategy to pit against the multi-million-dollar marketing machine for foods that have been designed to titillate our five senses. If there is one thing that the modern food industry has taught us, it’s that we live in the age of persuasion. 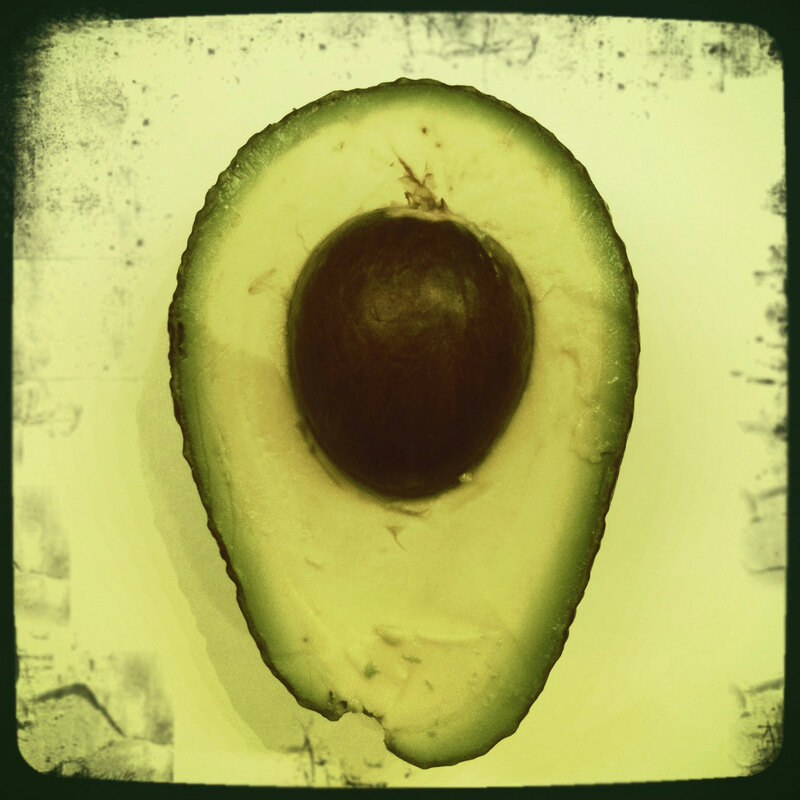 When I set out to write this story, it began as a quick ditty about the rise in popularity of avocados and the guacamole we eat during the Super Bowl. Perhaps, too, about how Mexican foods are gaining a foothold in the rest of North America. After all, we’re eating so much of the stuff! When chains like Subway advertise avocado add-ons, foot traffic increases. And nutritionists tell us they are chock full of good fats that will help us live longer. But ads—even for something as earnestly good for you as an avocado—rarely tell the whole truth. As with the fruit itself, you never quite know what to expect when you peel back that coarse reptilian skin. Sometimes it’s ugly. * Update: Avocados from Mexico released a full cut of its sixty-second Super Bowl ad earlier today. You can watch it here.